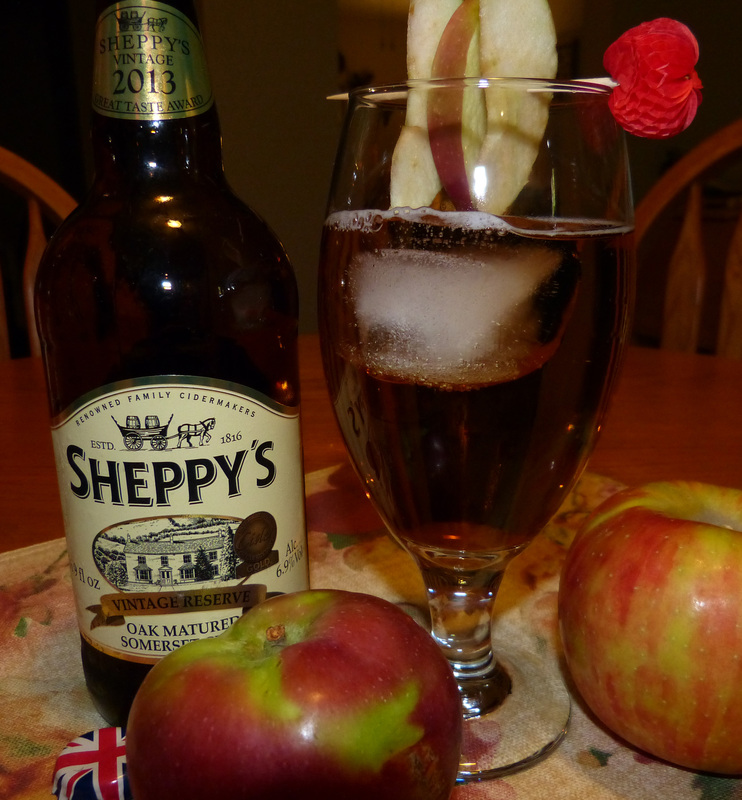 Apple cider, hard cider to Americans, has been a staple in England for a thousand years. The West Country and the Three Counties, where Northanger Abbey is set, has the perfect climate for growing apples and pears, and orchards are ubiquitous. Indeed, in addition to the apple trees at Henry Tilney’s house, the orchards of both Fullerton and Northanger Abbey itself are mentioned by Austen. General Tilney prides himself on the production of good fruit on his estate. In Gloucestershire this surely would have included apples and pears. The Three Counties even today have more orchards than anywhere else in the UK. Unsurprisingly, the areas in England with a long history of apple and pear growing also have a long tradition of fermenting them to make cider and perry (the cider equivalent from pears). Some unique varieties of cider apples and pears have been grown exclusively in the Three Counties and the West Country for hundreds of years. In Austen’s time, every farm in the area made its own cider, and farm workers even received part of their pay in the form of daily cider pints. Traditional “real” cider is fermented from juice pressed directly from the fruit, not from concentrate, with no added sweeteners or flavorings. The resulting cider may be sweet, semi-dry, or dry, much like wine. It may be sparkling, if there is a secondary fermentation in the bottle. The Champagne method of carbonation was actually invented for English cider in the 17th century. 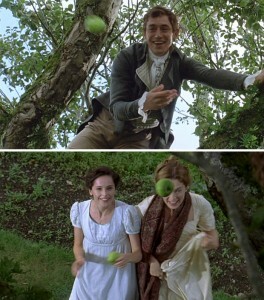 Remember that time Henry Tilney climbed an apple tree and started tossing apples at Catherine and Eleanor? Getting back to those apple trees that so delighted Catherine Morland, I imagine Henry Tilney would be the kind of unpretentious guy to drink a good cider. 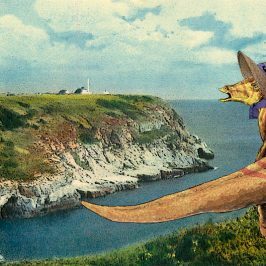 Sure, wine was always preferred by the upper classes, but cider was everywhere, and quintessentially English. So when I came across The Young Buck over at Serious Eats, I thought it was perfect for Henry Tilney. It combines cider with another quintessentially English and wildly popular drink during Austen’s time–ginger beer–which I’m sure we’ll revisit in a future #JaneWithATwist post since Jane’s dear friend and roomie, Martha Lloyd, had a recipe for it. For now I’ll just mention that ginger beer is used in a class of mixed drinks called bucks or mules. You may have heard of the Moscow Mule and the Dark & Stormy. I tried several iterations, naturally. Luckily the tastiest one was also the most authentic. 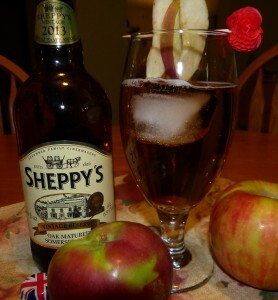 As pictured above, I used Sheppy’s Somerset Cider and Crabbie’s alcoholic ginger beer, which was invented in 1801 in Edinburgh. Using hard ginger beer adds a bit more alcohol to this cocktail. In another tasty variation, I used Reed’s Premium Ginger Brew (non-alcoholic), which is sweeter than Crabbie’s. To balance this I used a dryer Pennsylvania cider, Good Intent. 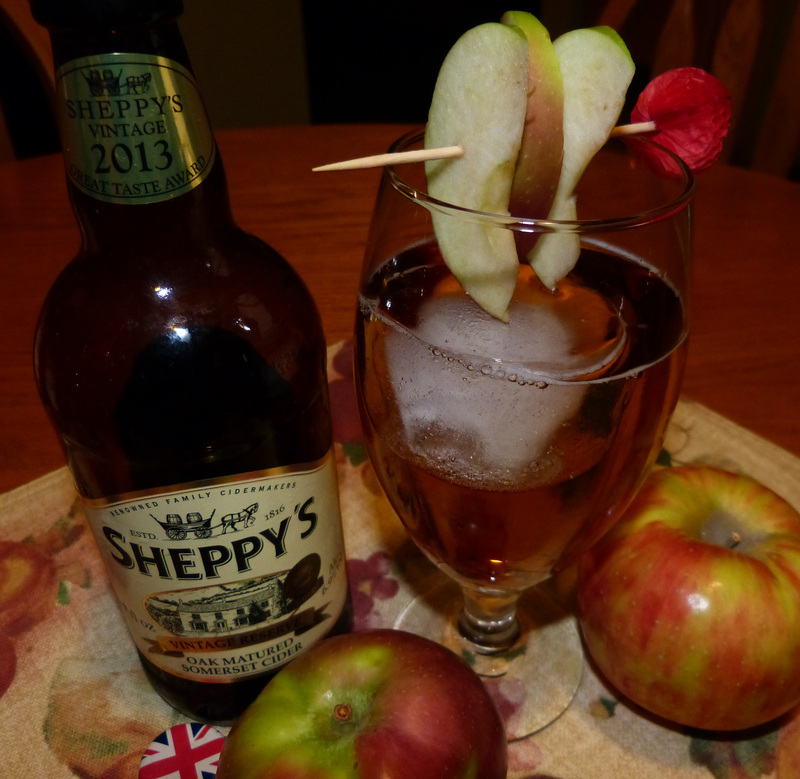 I also tried a non-alcoholic version of the Henry Tilney using sparkling apple cider, combined with Reed’s. I found this too sweet, personally. I would recommend a spicier, less sweet ginger brew to cut the sweetness of the apple juice. Here are a couple of ginger beer taste tests that might be useful to anyone looking to experiment. 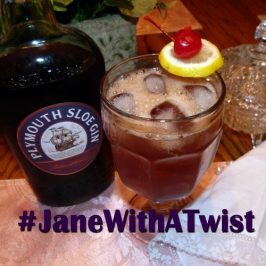 Thanks for joining me for the first round of Jane with a Twist! 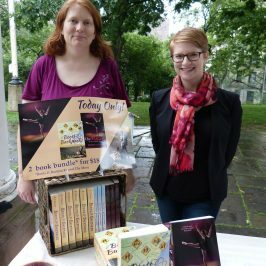 Tomorrow, Linda Gonschior will bring us a drink inspired by General Tilney. And on the 30th, I will post spooky cocktails for Catherine Morland and Isabella Thorpe. 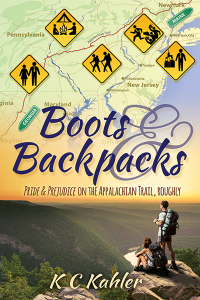 Boots & Backpacks Blog Tour Oct. 27- Nov. 7!